"To me it's an extremely attractive place to come. It's brand new. There's a lot of excitement for us in bringing people in. We've actually brought on support providers," said Dr. Anne Curtis, Vice President of UBMD Physicians' Group. "But will the patients be more comfortable? I certainly hope so. It's meant to be an inviting place for patients and seek their medical care." Curtis said the center brings Buffalo medical care into the modern age. "I don't know if you could go across the country and see any major academic health care center that doesn't have an outpatient center there and we were lacking that," she said. Curtis said the facility will bring more convenience and better care to patients. "We can refer to each other within the same system. We can have patients, if they need to get testing done, it can either be done right here or we can have the patients go over to Buffalo General," she said. "So it's a sort of a one-stop shop for all health care needs." UBMD is the region's largest medical group. 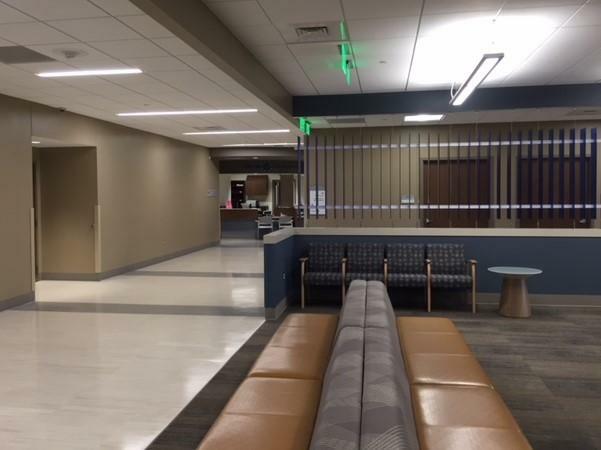 Their new facility features 54,000 square feet of clinical space and will house 12 UBMD practices, among them Family Medicine, Internal Medicine, Neurology, Orthopedics and Psychiatry. State development efforts worked to place bio tech company AMRI in Buffalo. While its presence is welcomed, a closer look at how it ended up in the Conventus Building is raising questions. Those are the findings of Investigative Post reporter Charlotte Keith who discussed the story with WBFO. 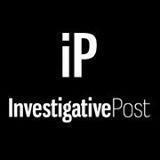 Charlotte Keith of Investigative Post discusses her most recent story of the Buffalo Billion economic development program with WBFO. This is the year Women and Children's Hospital of Buffalo gradually moves its services from its longtime Bryant Street home into several floors of the Conventus Building on Main Street. 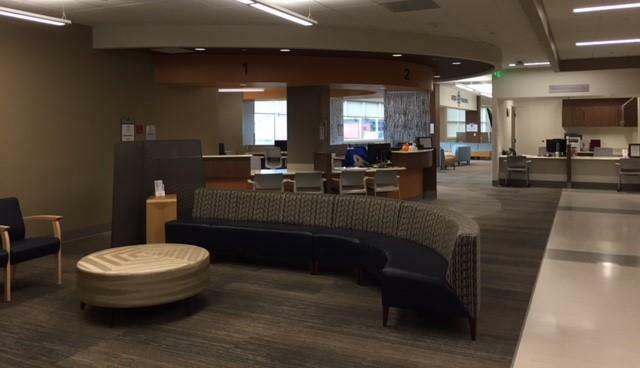 Phase One got underway Tuesday with the opening of seven outpatient clinics at the new address. 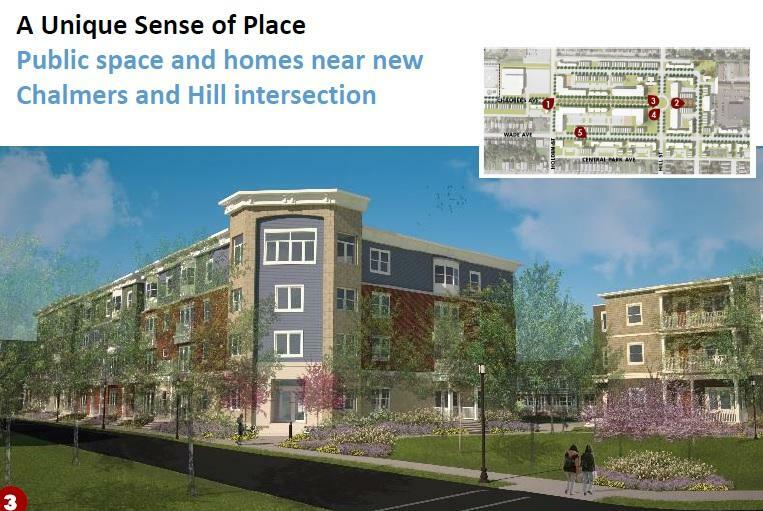 It's being called the largest private housing development in the city of Buffalo in decades. 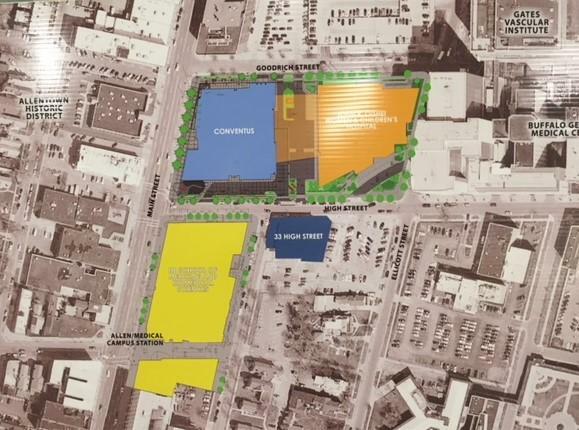 The project will be built at the former site of the Central Park Plaza.